There's no Better Sound than Live Music! St John Ambulance Concert Band has been performing for audiences of Brisbane since 1919: nearly 100 years! 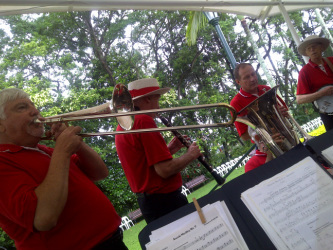 The band - currently conducted by Bernie Hoesman - regularly performs at community festivals, in the Brisbane City Council's Bands in the Park program, and Retirement Villages around Brisbane (and a little further afield). Other performances include an annual commitment to Brisbane's ANZAC Day March, the St John Ambulance Queensland Annual Presentations, and an Australia Day performance at Queensland's Government House. Band members have varying degrees of musical experience, ranging from hobbyists to professionals. The band also performs a variety of music with repertoire covering orchestral arrangemements (for concert band) to jazz and popular music and movie themes. New members over the age of 17 are always welcome to join! What better sound is there than a live band!! Contact us today if you'd like to hire this band for your next event! 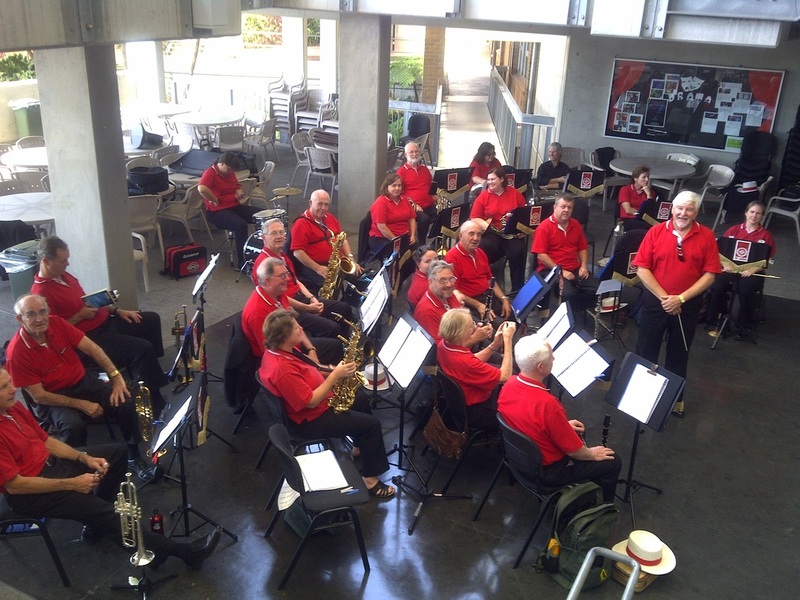 The concert band regularly performs for the Brisbane City Council in its Bands in the Parks program and for Churches, Schools and Community Associations to help them bring lively music to their celebrations. There are several small groups within the St John Ambulance Concert Band which perform regularly at events: either under our banner or their own. Below is a list of some of the most active groups. All of these small groups need very little space! If you'd like further information about, or to hire any of these groups, please contact us today! Legendary Solo Sax - Professional Musician - Tony Ashby – Saxophonist Extraordinaire and a legend in the Brisbane Jazz Scene (maybe you have one of his recordings...). Clarinet / Sax soloist. Jazz standards from the height of the jazz / swing era. Jazz musicians constitute the core of St John Ambulance Concert Band. So if you're in need of a corporate show stopper, you're looking in the right place. This 16 piece Big Band draws on the fantastic accumulative experience of the professional jazz musicians in the band. Musicians in this outfit have performed around the world and in the very best of professional musicians' company. Contact us today to wow your audiences and book this band for your next special event! Don't have the space for a 30+ piece Concert Band or a 16+ piece Big Band, but still want a big sound and some jazz favourites that you could dance to...or just enjoy listening to while your guests are entering your function? This 4 piece saxophone ensemble is perfect for you. With a wide repertoire and a great sound, this quintet gives you that wow factor without taking up the valuable space needed for your event! Contact us today to book this quartet for your next event!